To all those who are expecting a Christmas card from us, sorry. I needed to reduce my stress load this year and that was one of a few things to not get done. 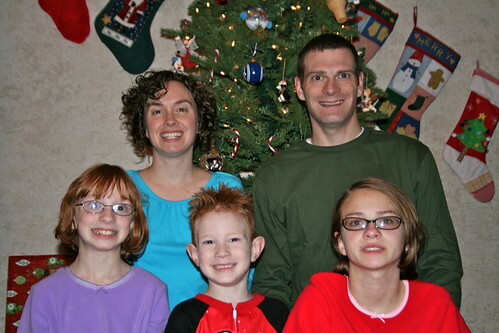 This lovely picture of us in our new Christmas jammies will have to do for now.